Winning the 2018 First State Teacher’s Scholarship has provided me with the opportunity to study the Finnish Early Childhood Education system in great depth. I travelled to Finland on September 17th, for three weeks and attended a study tour with a company called Learning Scoop, held at the University of Tampere for one week. I then spent the next two weeks visiting two other schools, meeting with teachers and principals and observing classes. The study tour included daily lectures which provided detailed information on the processes within the Finnish Early Childhood education system, support for families and children from birth to 8, and an overview of the school system. We also visited a different educational setting each day. These settings included Early Childhood education centres, Community centres, Pre-primary classes (6 year olds), Primary Schools and a Forest Kindergarten. In week 2, I travelled to Rovaniemi to visit a Teacher Training School and learnt about the connections between university and schools and teacher’s practicum experiences. During week three I was able to shadow a year three teacher in a primary school in Sipoo and find out about Phenomena Learning. I learnt many things in these three weeks and returned to Australia with a lot to think about. I am still working on how to best utilise my learning and how to influence positively the education systems around me. There is often push back when we speak about Finland’s education system, as people like to remind us “we are not in Finland” or “Finland is a very different country”. However, I found the things I believe make the biggest difference to the educational achievements in Finland would not be particularly hard to include here in Australia. There were some things that would be able to be implemented within schools with very little cost. There were others, in particular the increased support for children and early intervention for children with special needs, that would require additional funding from the government. The attitude of the Finnish is “a child does not choose the family they are born into” and as such, each child deserves full access to the supports and early interventions they require to be healthy, happy and safe. As we all know, Education is free in Finland. However, I did not realise, that any need, educational, health or welfare, required by a child is provided quickly and at no cost to families. For example, if a young child is identified as requiring an assessment for Autism, Speech and Language impairment, Dyslexia, Occupational Therapy, social/welfare support or early intervention, it is quickly and easily provided at no cost to families. Early intervention and support for children with special needs follows swiftly and seems almost automatic. The Finnish discuss this as though it is a given. They were surprised that it was not the same here in Australia. The pedagogy of Play features strongly throughout Education in Finland. Play consistently features and is documented clearly throughout the Early Childhood Education and Care curriculum, Pre-primary curriculum and the Primary curriculum. All children are provided the opportunity to play regularly throughout the day. Children at the age of 6 attend a full year of Play Based Pre-primary education. Individual learning plans for each child are created with families each year throughout child-care through to school. These are simple documents with goals developed with input from the child and family. Staff-student ratios are lower throughout all classes in Finnish schools in comparison to Australia, with 20 students per teacher being common in the primary school years, 20 students with two teachers (one teacher, one assistant) in the Pre-Primary year and 24 students to 3 teachers (one teacher, two assistants) working with children from the ages of 3-6 years old. 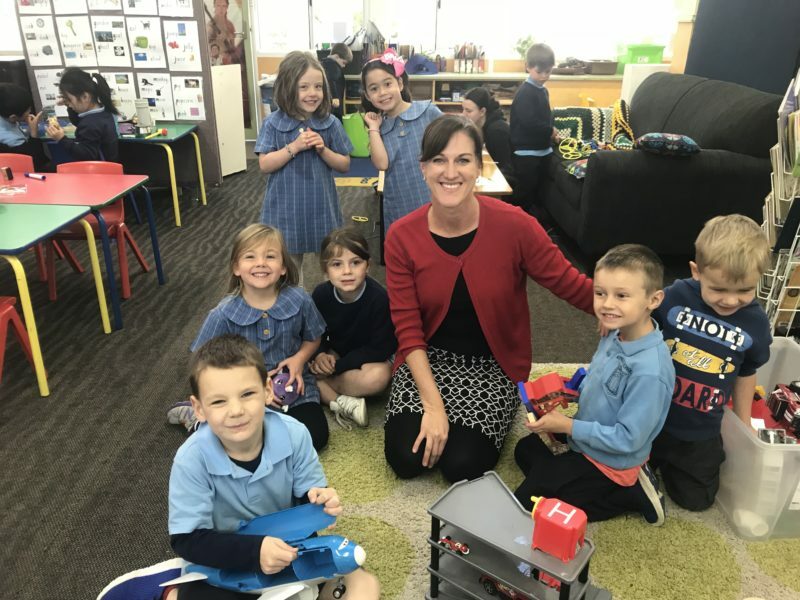 In primary school, it is common for the teacher to stay with their class group from year one through to year 6 (same teacher, same class group for consecutive years). Finnish families complain if their child has a new teacher each year. The biggest take away for me from my study, was the recognition that there are no benchmarks throughout a child’s education. Teachers are not driven to ensure a child reaches a certain reading level or academic level each year. There is recognition that each child will develop differently and in accordance to this, there is no pressure, or attempts to force children to learn faster or earlier than they are able. Teachers are not caught up in trying to meet specific benchmarks to justify their performance as teachers. There is a strong drive by the Finnish to not cause educational stress to children by pushing them to work at levels they are not developmentally ready for. Each child is taught from where they are at and celebrated for what they achieve. Learning is made fun and encouraging a love for learning and positive attitude towards learning is documented clearly within the Finnish curriculum. The Finns, protect childhood. They see childhood as a time that should be joyful and stress free for children. They understand the research behind Play Based Learning and as such recognise that providing quality play (indoors and outdoors) for children in the early years will have a strong positive effect on children’s academic and social outcomes in the future. They recognise Play as THE pedagogy for children. From the age of seven, classes become more explicit (playful) lessons. A child attends school for four to five, short, sharp forty-five minute lessons with 15 minute play breaks in between each lesson. After these lessons the school day finishes and children go to afternoon “clubs” (similar to after school care and Play based) or home to play. From year 1- 6 Finnish children play and engage in their interests, for at least half of every school day. To date, I have presented information to the ACT Early Childhood Policy Manager, Early Childhood Policy & Regulation, and staff representatives from the Deputy Director-General’s Office, System Policy and Reform Division, ACT Education Directorate. I have presented as a panel member during a forum on the “Rights of a Child” for our local community. I have also been asked to write a journal article for our ACT Australian Education Union magazine. I’m currently working on writing a report/journal article to share. I cannot thank the Public Education Foundation enough for the opportunity to complete this study and share my findings with our Education Directorate and networks.